Five days ago I resolved to start and maintain a year-long open source contribution streak. After testing the waters for a few days I'm ready to announce my goal publicly. From now until June 18, 2015 I will make at least one commit to an open source repository every day. Follow me on Github and keep me honest. I'm at 5 days so far. Only 360 more to go. I don't know what obstacles I'll encounter on the way to 365, but I'll try my best to overcome them. Even if it means frantically tethering over a headphone jack from a remote airport in Southeast Asia at 11:59pm PST. 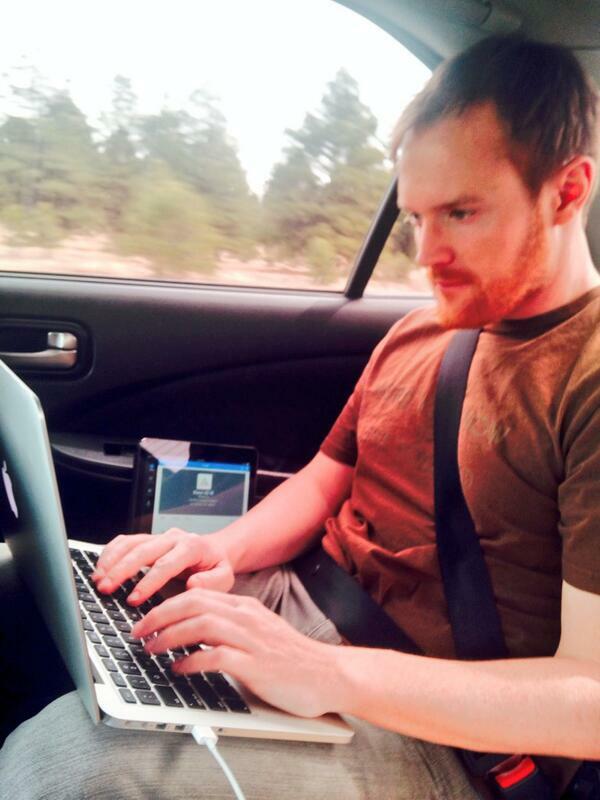 Or coding in a car on the way to the Grand Canyon for a family trip.